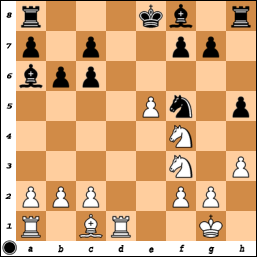 I hope the title isn’t going to be decided by the margin of Anand’s missed …Nxe5. Will the Mechanics host an early-Tuesday morning viewing of Game 12, with live analysis by GM Vinay Bhat? As for live analysis, these games are too early for me! Assuming the match doesn’t end tomorrow, I might try to wake up maybe an hour into the game.